The industry is presently faced with a significant amount of red tape when it comes to developing said driverless car technology, an element which this bill aims to reduce which will allow cars to be driven by on-board systems. The bill also touched on adapting the legal system to take issues into account such as insurance liability when a human motorist is not in control; issues that I discussed in my previous post. The Telegraph reported that Nissan has previously said that by 2017 it will build its Qashqai SUV’s fully equipped with new self-driving technology and many other manufacturers have made similar announcements indicating their intention to fully embrace the new technology. The safety aspect is one that I currently question. Personally, I would feel safer driving my own vehicle as opposed to relinquishing control to an on-board system that will no doubt be susceptible to bugs, software crashes and any number of other “technical difficulties”. I find it difficult to believe that software can be developed within the proposed time-frame that will be able to successfully navigate all the hazards that a motorist faces during the course of any given journey. Sensing the presence of other cars seems straight forward enough, but what about numerous hazards all at one time? Another vehicle, a child on a bike that could veer into the road at any moment, a dog, traffic cones that have been left where they shouldn’t- will the software be able to navigate these as successfully as a human? Will Driverless Car Technology be sophisticated enough? If its IS sophisticated enough, how long will it be until the cars drive where they want to go and ignore our input entirely? Okay….maybe I am venturing a little too much into Terminator 2 territory there and despite my reservations, I am excited by the prospect and keen to learn more about how the software will work. The potential monetary value of establishing ourselves as market leaders in this sector is undeniably huge. This is a technology that still seems a little too sci-fi to be implemented into our daily lives but almost every major manufacturer is has expressed their interest if not outright committed to the self-driving movement. A recent study by the Society of Motor Manufacturers and Traders estimated that the autonomous / driverless car and their systems will be worth £15 billion a year to the UK economy by 2030. Success in this area could also mean a whopping 320,000 jobs are created. From a legal standpoint, the UK already has somewhat of a head start over the competition in respect of autonomous vehicles. The Vienna Convention requires that “every driver shall at all times be able to control his vehicle” but the UK did not adopt the legislation. This means that whilst other countries face a huge overhaul of their current regulations, the UK is free to crack on with it and get testing automated vehicles. Britain does not face as massive an overhaul of regulation to start testing automated vehicles as those countries which did adopt the legislation. This readiness to make immediate progress has helped drive Government-backed trials of the vehicles and the systems required to “drive” them. As a result of the trials, the Government are hoping to have “pods” driving themselves on the road as early as the back end of 2016! Buoyed by the UK’s stance on the new technology, Volvo have also announced their plans to start testing self-driving cars in London within the next 2 years and were drawn to the city not only by our position on the Vienna Convention but also by the condition of the roads. London’s road network would certainly provide the technology with a robust test given its almost chaotic nature. If an autonomous car can successfully navigate London without incident, then it could probably drive itself anywhere and make a cup of coffee at the same time! Volvo have also confirmed that should any incidents occur as a result of their self-driving technology they would accept liability which speaks as to the confidence the company has in its autonomous future. There are many (me included) who do not yet hold such confidence but I suspect this is understandable given that we are in the early stages of development. 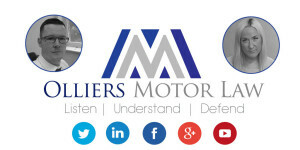 Motor law is a relatively small, but complicated area of criminal law with many complexities and technical issues. It seems a monumental task to create legislation that caters for the automated market. Surely there are ways for a human to seize control of an automated car during a journey and this will no doubt blur the lines when it comes to who (or what) is in charge of the vehicle for legislative purposes. This is but one example of the potential difficulties the Government face moving forward.